Is your artistic potential inhabited by a lack of talent, financial resources, or ideas? Don’t despair! Read-on and find out how you too can fully realize your creative dreams—and even make some money in the process—without the need to attend the Royal College of Art. Several years ago, I noticed that everyone seemed to be selling something on Etsy. To the uninitiated, Etsy is a sort of a hybrid between Facebook and eBay. You can find almost anything there, from handmade jewelry to vintage items to second-hand 1960s underwear. A beautiful selection of over 150 gorgeous leafs from inspirational vintage manuscripts… to be used for absolutely anything! These antique sheets are in a lovely aged condition and I include a generous range of different colors of patina and intriguing imperfections. From mysterious dark latte to beautiful French cream to a enchanting country antique white! Oh they’re just gorgeous! This got me thinking, how much of this phenomenon was attributed to memetic propagation and groupie Theory? Or was this just a question of using hip langue to sell your thrift store inventory? I decided to open an Etsy store to find out for myself. The first problem was what to sell. I like all of my old stuff, but I thought maybe I’d find some vintage items I could part with for the sake of the experiment. In the process of looking around the house, I noticed some dust bunnies behind one of the doors and it suddenly hit me…this was it! I would create a store dedicated to the fine art of house dust, lint, and miscellaneous cat hair. I launched my “Dust Bunny Emporium” store under the nom de plume of Olga Schematova, a middle aged lady from one of the former soviet union Republics. To comply with the terms of service and agreements, I composed and published all required store policies such as About, Return & Exchange, and FAQs. To achieve the right artistic and literary balance, I dialed-up my continental accent by a few notches. 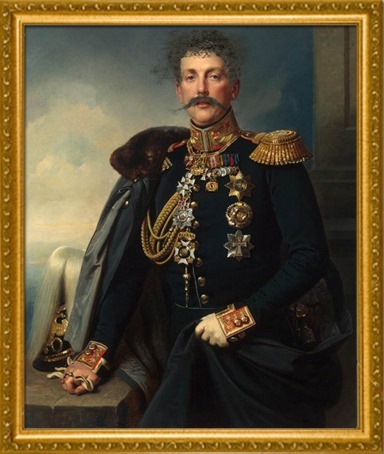 Store Keywords: famous Russian general portraits, hair, lint, dust, crumbs, ear wax, petroleum jelly, anti freeze, dust, Vaseline, grease, belly button fluff. Welcome Friend! 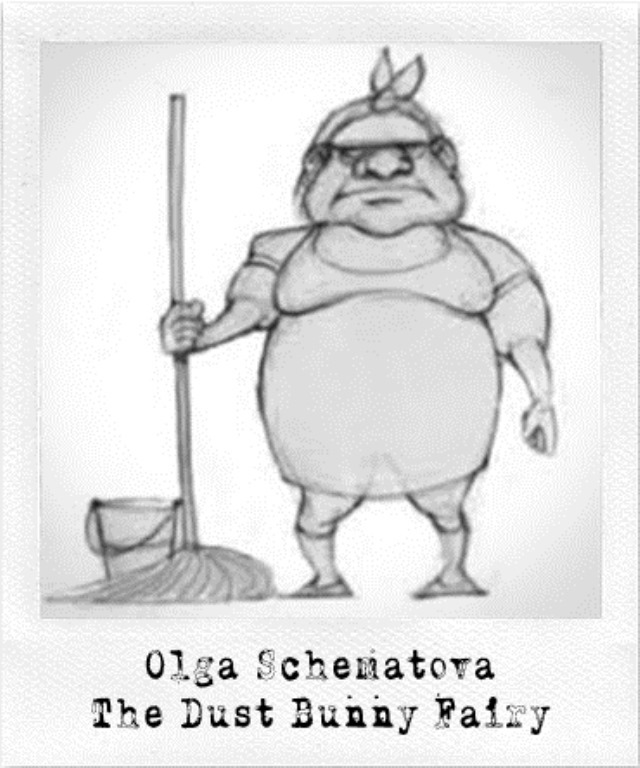 No job too big for Olga! My name is Olga Schematova. After many years working in the Bolshoi Circus as as deputy manager of sanitation department, I now have own Etsy shop! 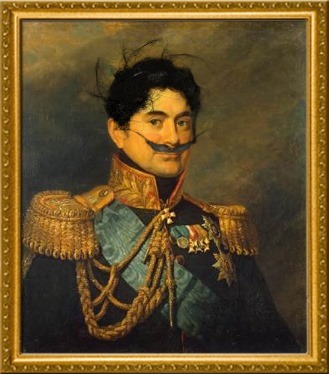 Olga’s philosophy is simple; I produce best possible reproductions of famous historical Russian generals using highest quality dust bunnies available. Each piece is hand made and lovingly crafted with great attention to details. Few artists in entire world have touched lives of fine art collectors like Olga’s creations do. My mission is to become leading creator of works of fine dust bunny art, magnificent objets d’Art, and treasured collectibles not only will bring you joy, but enhance your life as you share their beauty with family and friends for many generations to come. Olga prides herself on the quality and artistic composition of her dust bunnies. If you are not satisfied with your purchase for any reason, I will gladly exchange your dust bunny for another one of similar value. Just mail back the dust bunny in its original zip lock bag. Unfortunately, I can’t afford to pay for your shipping, so you will have to do it yourself. All returns are also subject to a 15% processing fee. Q: What exactly is a dust bunny? A: Dust bunnies (or dustbunnies) are small clumps of dust that form magically under furniture, in corners of rooms, and behind doors. They are made of hair, lint, crumbs, dust, and debris. Dust bunnies are held together by static electricity and felt-like entanglement. They can actually be harmful if swallowed by your pet and are excellent breading grounds for house dust mites and other parasites. Q: What is the difference between dust bunnies and the contents of any vacuum cleaner bag? A: Some enterprising and unscrupulous dealers sell cheap, imitation dust bunnies using the contents of vacuum cleaner bags (there is a thriving black market in the U.S.A). You can tell the high quality dust bunny by its fluffy texture, good clumpinees, and low DtH (Dust to Hair ratio). Some other indications are lack of foreign objects like dental floss, buttons, nail clippings, cat whiskers, and small change. Q: Is your art for real, or is this just a bad joke? A: Yes it is, I consider myself to be an artistic trail blazer and an innovator (perhaps years ahead of my time). Before criticizing my creations, consider that Jackson Pollock and Andrew Warhol were also initially treated with disdain and mockery before becoming very famous (and rich). Q: What do you use dust bunnies for? A: I have always been interested in sanitation and rubbish disposal. Since I was little, I enjoyed taking the garbage out. I am fascinated by objects like used toothpicks and incrustations of various sorts. I am an expert on organic discoloration ( I authored the “The Russian Guide to Food Stains” ) and believe that recycling dust bunnies is beneficial for our planet. As my friend Alexi Steponitovich the poet once said, “Переработка кролика превращает растение в зеленый мед” – Recycling a bunny makes the plant a green honey. Once the store was up and running, it was time to create the inventory. 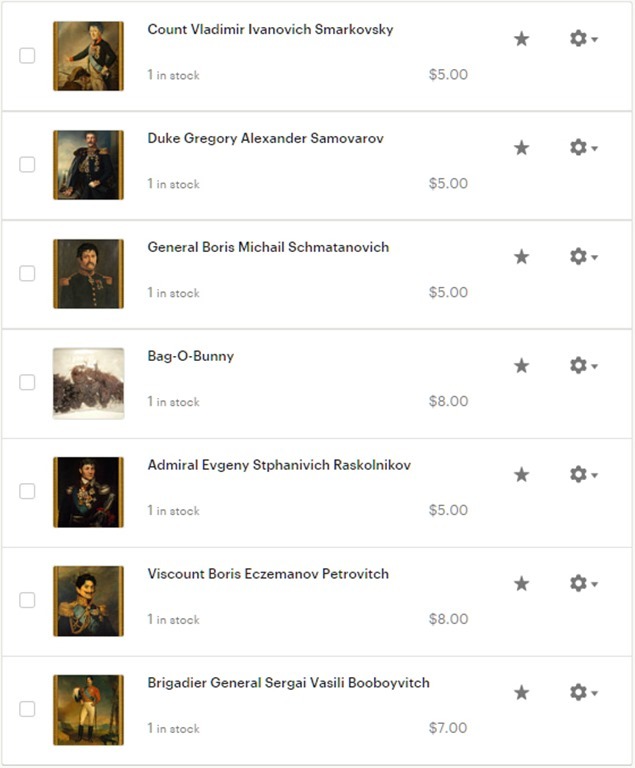 I collected some dust bunnies and other lint, mixed it with petroleum jelly and proceeded to use it to enhance the appearance my collection of 18th-19th century Russian generals. 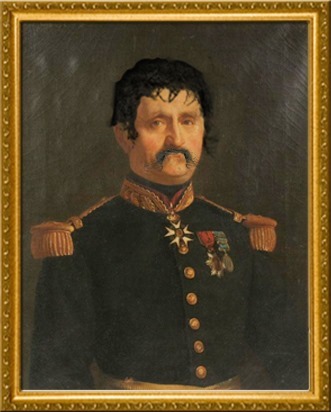 In addition to a new coiffure and upgraded mustache, each General also received an enhanced personal biography and a brief description of the artwork. Wonderful reproduction of Viscount Vladimir Eczemanov Petrovitch,Tsar Nicholas II’s beloved Chief of Staff. This artistic masterpiece captures the cunning courtier and his love of life, beets, and large parties. Viscount Eczemanov’s accidental invention of borscht and his introduction in 1905 of adult jokes into the Russian court has won him a special place in Russian folklore. The hairpiece is made of a large and rare imported (from Uzbekistan) hair ball and is reinforced with petroleum jelly. The mustache is made from a clump of drain hair I recovered from the bathroom sink on the train on my way to the farm animal exhibit in Vladivostok. This magnificent portrait edition is numbered and comes printed on acid free card stock. This magnificent likeness captures the essence of imperial majesty of Russia’s Far East Fleet commander in 1905. 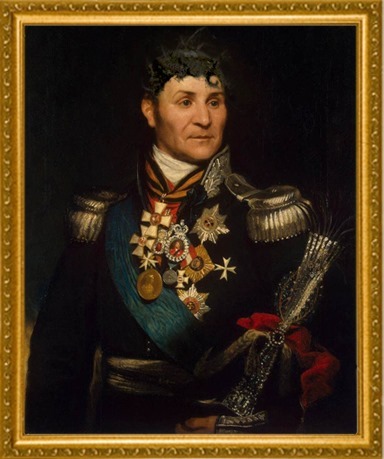 Admiral Evgeny Stphanivich Raskolnikov, who in real life never set foot on a vessel prior to the famous and short marine battle fought against the Japanese fleet, is presented here with a replica of his original toupee. The hairpiece is made of a mixture of lint clumps that came from my friend Sasha’s bellybutton and a large and fluffy hair ball that I found on the floor mat in the entrance to the youth center where I also work as a part time cook. 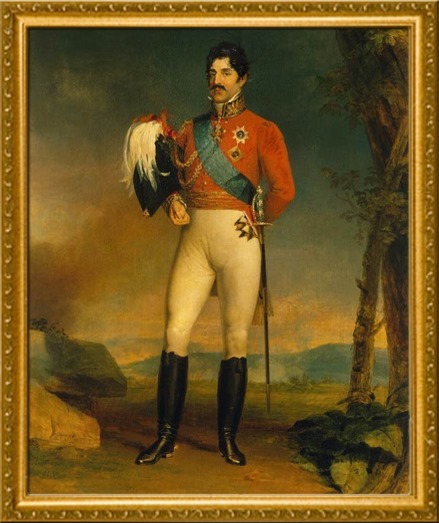 This portrait perfectly captures the image of one of imperial Russia’s greatest cavalry heroes, Duke Gregory Alexander Smearvarov, the hero of Kazakhstan, Turkistan, and Uzbekistan. The hairpiece of this fascinating portrait is made of a large dust bunny I found in the communal laundry room of my apartment building. The mustache is made of a hairball I got from my black cat Lenin. 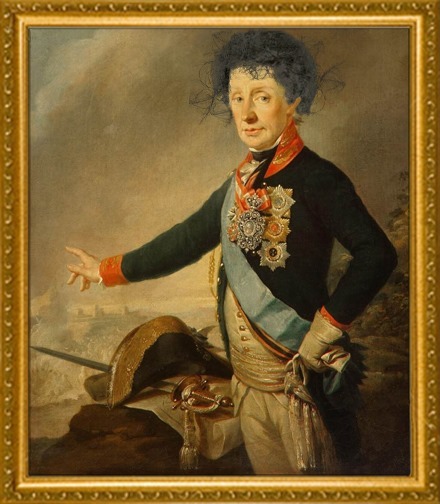 The hairpiece of this intriguing portrait is made from an aged and hard to recover dust bunny under the radiator that I got by using a straightened coat hanger. The mustache is made of drain hair I found in the town’s Stalin Youth Center swimming pool shower room. This limited edition, numbered portrait is printed on acid free card stock. This enhanced portrait is an excellent and clever rendition of the famous military philosopher, Count Vlamimir Ivanovich Smarkovsky, who was the first one to introduce the finger pointing style of command to the Russian imperial army. He is also the only general ever awarded the three vertically overlapping medal set. In the creation of his new and magnificent coiffeur, I used a combination of several dust bunnies and some drain hair. A rare portrait of Imperial Russia’s greatest military sanitation engineer, Brigadier General Sergai Vasili Boboyovitch. His numerous contributions to the modernization of sanitation in the Kremlin include: the abolishment of the usage of office curtains for personal hygiene and the introduction urinals and zippers in military uniforms (portrait predates his invention). For these and other important contributions Brigadier General Boboyvitch was awarded posthumously (after his death) the 8 corner and four cornered medals, two very important medals! The hair piece is made of a mixture of dust bunny, dust, crumbs, and premium filler materials. The mustache is made of a mixture of drain hair and antifreeze I received as a gift from my good friend, Mischa, who works in the cooperative glue factory. 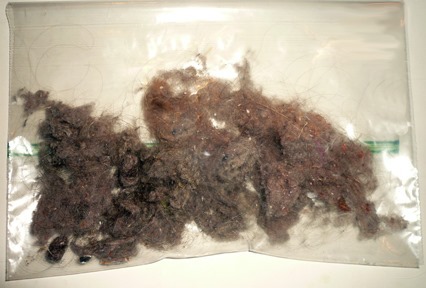 This 12” x 6” Zi-p-loc bag of high quality dust bunnies is the perfect gift for any craft lover. It is made from perfectly balanced mixture of hair, dust, crumbs, and lint. This extra large and luxurious dust bunny has been perfectly aged for over 6 months and has smooth, and slickly texture. If you are looking for bulk dust bunny supplies, look no further! The quality dust bunnies is second to none and it has beautiful form and luxurious texture. Great for your home made hair, beard, and mustache extensions, or general weaving projects. Then came the recognition, in no time, I became the rave of the Etsy artistic community. I find Olga’s work menacing/playful because of the way the mechanical bunny hair and the gesture verges on codifying the distinctive formal juxtapositions of the figures. So, there you have it. In the end, I didn’t rake in the millions, but still, it was an interesting exercise that proved that even sarcasm in its extreme form can be interpreted as artistic genius depending on who you ask. © Copyright 2019 Yaacov Apelbaum, All Rights Reserved. Wonderful use of dust bunnies! In the event you happen to run short of dust bunnies for your collection, I would be happy to send a few of the treasured dust bunnies that are wondering about my home. Of course you would be responsible for S&H in addition to the small price of the incredible dust bunnies I have available. Are x agents unique to Russian or even fab sources, now Henry’s crowdstrike operated among other places in romania. X-Agent, XAgent, or X Agent are just a fancy names for spyware program that is designed to collect and transmit files from the hacked machines to servers operated by the hackers. There is nothing specifically ‘Russain’ about this type of malware. I’m not sure I understand your comment/question about Hanry and the CrowdStrike operations in Romania. How would you recognize the nationality of the hacker? Unless, you have him in custody, with his real passports/biometrics and a birth certificate? What if these were Romanian hackers operating from Russian IP addresses or vica-versa? This post displays a mischievous spirit reminiscent of my maternal grandfather. He was a teacher in the Hamtramck Public Schools (Polish working class community landlocked by the city of Detroit, MI) & once thoroughly enjoyed a practical joke he pulled. There was a glass case displaying award winning art material at the school in which he worked. He cut a piece of one of his work benches splotched with paint from various projects from over the years, placed that randomly painted wood in the awards cabinet, & moved one of the ribbons onto his “work”. Then he would linger by the display to overhear the artistically inspired discussions. Those people who went on & on about the artistic genius & the technical creativity of his work just solidified his views on the pointlessness of high-brow, better-than-thou personages & their inflated self-importance. I’m sure he would have loved your little experiment…as do I! No offense taken :-) G-D bless.